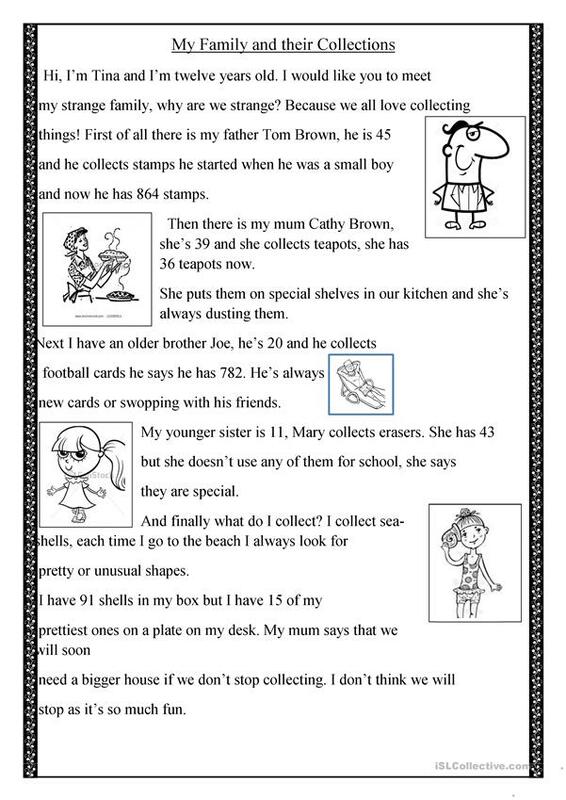 a short text talking about a family and their collections, reviews nos from 11 to 100. 2nd page has comprehension questions and comparative and superlative questions. 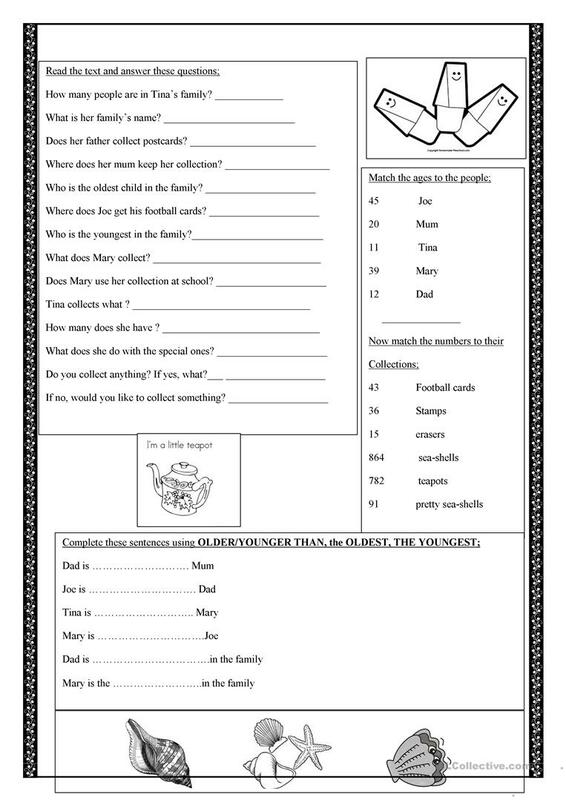 The above downloadable worksheet was created for elementary school students, kindergartners and nursery school students and adults at Elementary (A1) and Pre-intermediate (A2) level. It is valuable for revising Numbers: Cardinal numbers in English, and is useful for honing your students' Reading and Writing skills. It is about the vocabulary topic of Numbers.